McKesson Cone Style Disposable Face Mask is a one-size fits most respirator mask. They have a scalloped design to provide comfort, coolness, and breathability by holding the mask away from the face. The design also helps provide better visibility. 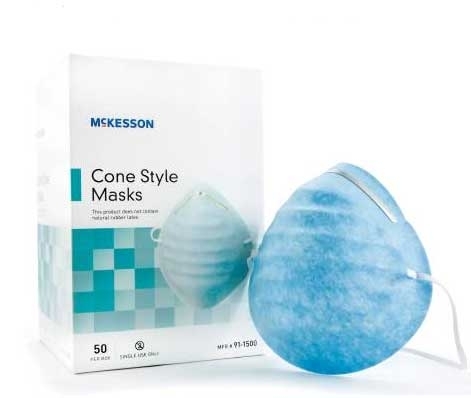 McKesson Face Masks are single use disposable masks. They are blue in color. They use a head strap as a fastener type.